Hot Racing center one-way differential drives the front and rear wheels under forward acceleration, but allows the front to 'freewheel' under braking, decelerating, and reversing. A center one-way allows the vehicle to be 'whipped' around during braking. This item requires a spur gear that's for a center gear differential. If the vehicle uses a slipper, then the spur gear will not work and a spur gear designed for a center gear differential will need to be purchased. 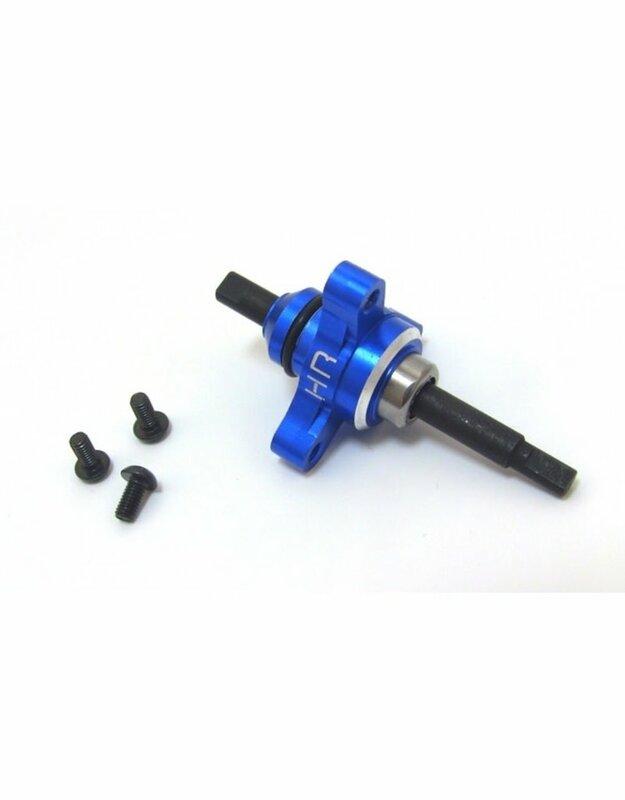 This item is compatible with the Traxxas Slash 4X4, Stampede 4X4, Rally VXL, and Telluride 4X4 vehicles equipped with the center gear differential.